This post was originally written by Kelly Johnston, and was published May 25, 2016. If you’ve spent any amount of time as a seller on Amazon, you’ve likely received a message from Seller Performance that strikes fear into your soul. A policy warning perhaps, or worse, a notification your funds will be delayed and your account suspended. Your breath catches, your pulse races, and your brain starts going a million miles an hour. 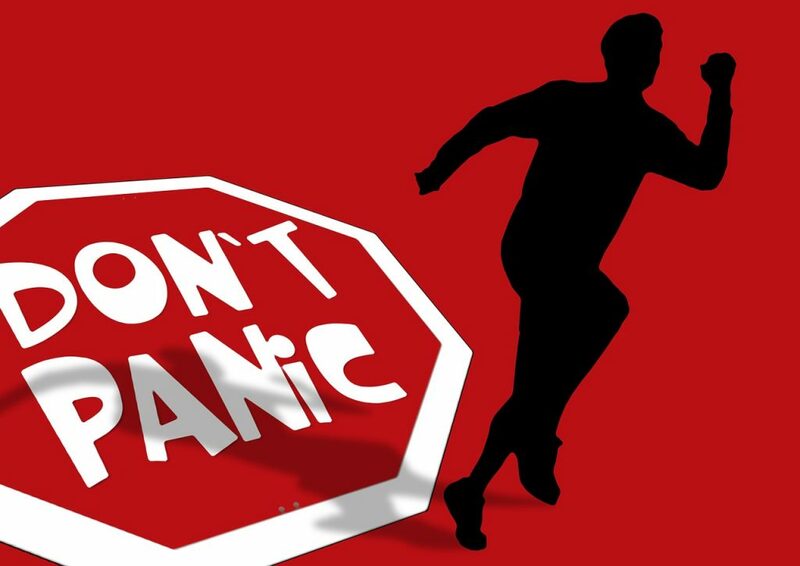 Whether you’re a brand new seller of a month or a grizzled veteran of 10+ years, don’t panic. In selling, as in life, fear can often make a fixable situation exponentially more challenging. What?! This warning/suspension/listing removal can’t be right! Please don’t take my account away/please let me back on! I don’t know what to do?! All of these are normal reactions, but they do nothing to advance your case with Seller Performance. In fact, it may make it worse. Since I’ve been a consultant in the Amazon seller space, I’ve seen many people-especially those new to the platform- get a message from Seller Performance and, in addition to the 4 points above, commit another cardinal sin: spamming everyone you can find. We’ve all been there. Something has gotten fouled up at the bank, or an online service you depend on suddenly gets messed up. The cable bill got paid, but they applied it to someone else’s account. You try to fix it, but nothing’s working, and you’re emailing ANYONE you can find to get things resolved. Desperation has never met a send button it didn’t like. -You’re creating extra work when you reach out to any other team who can’t do anything but refer your complaint to Seller Performance. You know, that team you’ve already emailed several times. And guess what- you’re not the only seller using this exact tactic. -Which brings me to the last reason- noise. All of those other sellers who are panicking and emailing a million times are creating a backlog, and since things come into the email queues in the order they’re received, it’s very likely your contacts aren’t getting reviewed by one person. That can lead to getting conflicting information from investigators, adding yet another layer of challenge to your situation. Don’t panic. I know, I know, it probably seems easy for me to say that- but it’s still true. Spamming multiple teams, especially with repeating information doesn’t help you- it ticks off the people who have control over your Amazon presence, it can dilute your message, and it increases the length of time your issue lingers. The unvarnished truth of being a seller on Amazon is that it’s their sandbox, and that means they make the rules. Though many times you’ll be able to reason your way to resolution, sometimes they’re just not going to budge. New sellers can save themselves a world of misery and shock if they research ahead of time. People are seduced by the thought of an eCommerce business, the controlling of one’s time and destiny, not commuting, etc. The siren song of freedom takes over, and they skip a few Google searches that would prepare them for what it’s like as a new seller on Amazon. It’s not all sales and happy customers; there are real challenges, rules, and unexpected speedbumps that crop up. 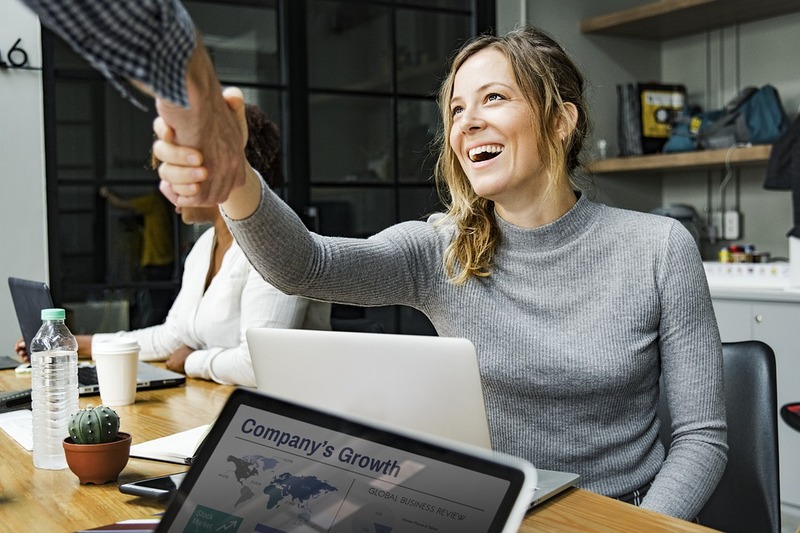 Don’t let what I’ve said discourage you; in fact, it should embolden you to pursue selling on Amazon with your eyes wide open, Google at the ready -and if you’re smart- an experienced mentor to help you navigate the lucrative but complicated world of Amazon. It can feel very overwhelming when your business is at risk because of actions taken by Amazon. You need to protect yourself as much as possible ahead of time, so that problems with Amazon aren’t a potentially business destroying event, but is rather a significant annoyance. Ideally, you have all of your invoices sorted and labeled, attached to your orders in a system like QuickBooks. All of your private label products need to have safety testing, even if it’s not legally required, in case a competitor reports a problem with your product. All they have to do is say your adapter lit on fire, or exploded, etc., and now you have to provide proof that you’ve done all of the necessary – although not legally required – safety testing. Not a good position to be in! Forewarned is forearmed, and makes it much easier to handle when panic-inducing events happen. 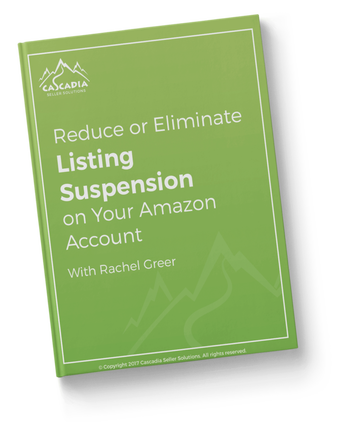 Join us each Wednesday at 10am ET for our free Q&A with Rachel Johnson Greer on how to optimize marketing strategies and launch new products, in compliance with Amazon policies, in order to grow consistently and predictably on Amazon!